Grill or barbecue indoors? Now you can! 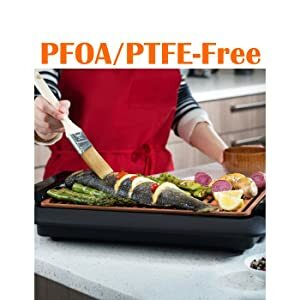 As Seen On TV's Smokeless Grill is the smart, new way to grill and barbeque indoors without all the smoke of outdoor or traditional grilling methods. 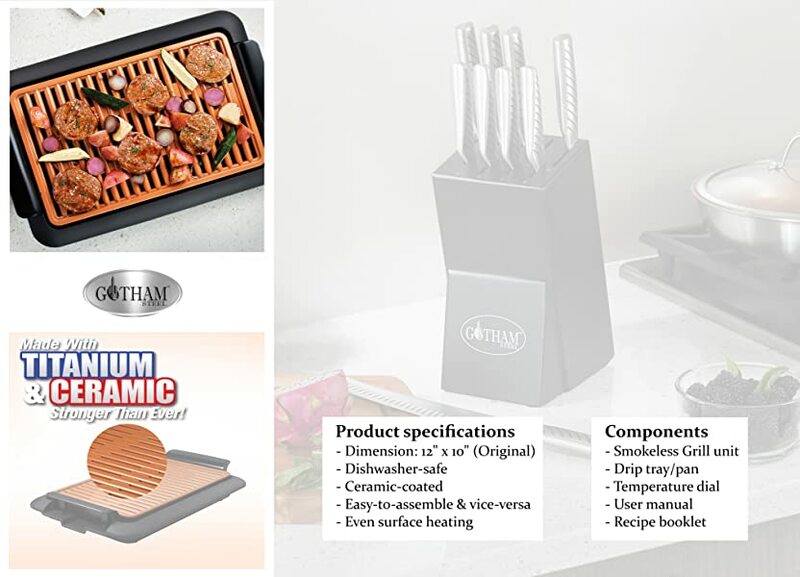 Quality, creativity, and innovation are the cornerstones of the Gotham Steel brand line, with the objective of providing consumers with cutting-edge products meant to refashion how kitchen activities are undertaken; from cutting, to grilling. The Gotham Steel Smokeless is diswasher-safe (except for electrical components - temperature dial). 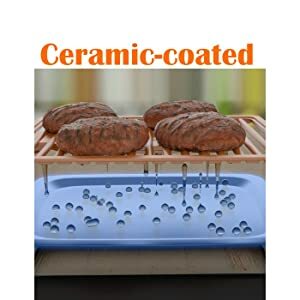 Time is gold, so go ahead and save yourself the hassle of after-grilling cleanup! Now make healthy food items even better with our PTFE & PFOA-free cookware. The modern is design is an added bonus - serve your family freshly-cooked delights right on the grill itself! Prepare delicious dishes for yourself or for the entire family. 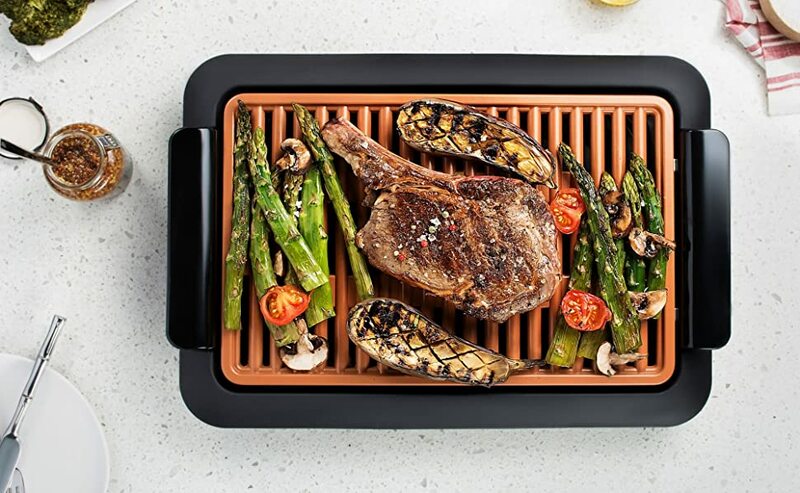 Take Korean barbecue right at your kitchen with the Smokless Grill. Cook juicy and tender steaks, sausages, chicken, shellfish or other seafoods and even vegetables. The convenient cooking or temperature dial ensures the food is just cooked right, and the ease of setting it up makes the Smokeless Grill the perfect partner for small parties with friends on a Saturday night! 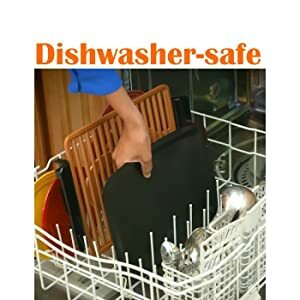 Each product is carefully packed in accordance with existing Amazon guidelines to ensure that the package arrives to you safely and as expected. Your shopping experience is one of our foremost priorities, along with your satisfaction.